Attention: I have recently acquired rare antique tonewoods.Please contact me regarding having a instrument commissioned from these materials.Thank you. Dr.Sloan and his 1742 Guarneri Del Gesu at the Hollywood screening of Strad Style. With Mr Zoran Stoyanovich studying a few fine old Italian instruments.Mr Stoyanovich owns the 1994 Samuel Zygmantovich which belonged to Isaac Stern. With Mr.Razvan Stoica and the replica of Il Cannone I made for him 2016. It is what you cannot see that makes the difference. 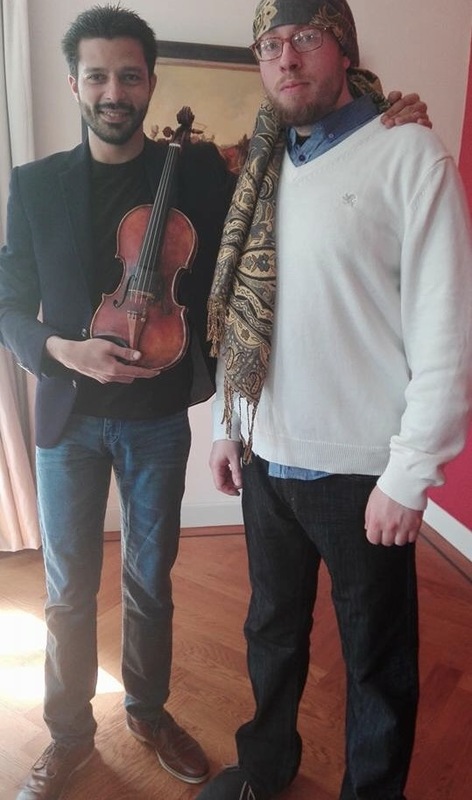 In 2016 the rising star Razvan Stoica commissioned Daniel Houck to make him a copy of the famous 1743 Guarneri Del Gesu which belonged to Niccolo Paganini.Stoica has been awarded over 35 international prizes in various international competitions.Mr Stoica plays a 1729 Stradivari violin. 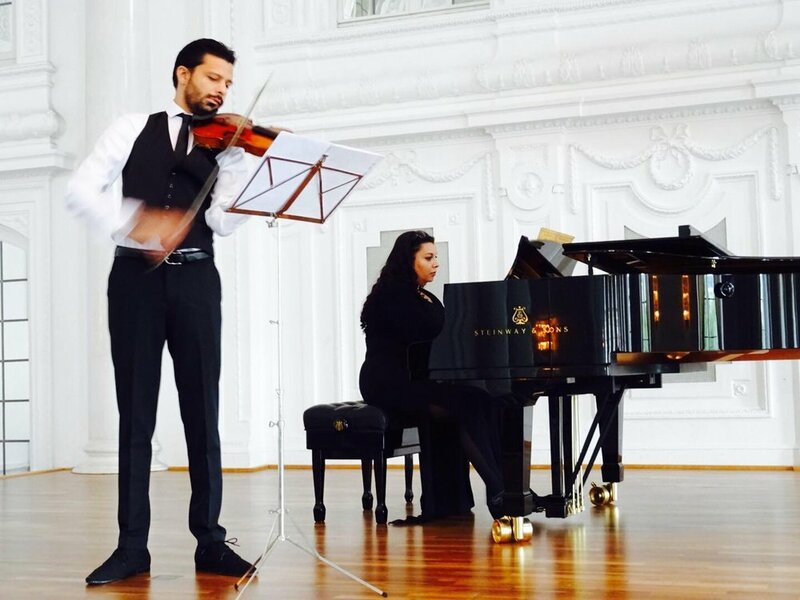 Mr Razvan Stoica accompanied by his sister concert pianist Andreea Stoica. 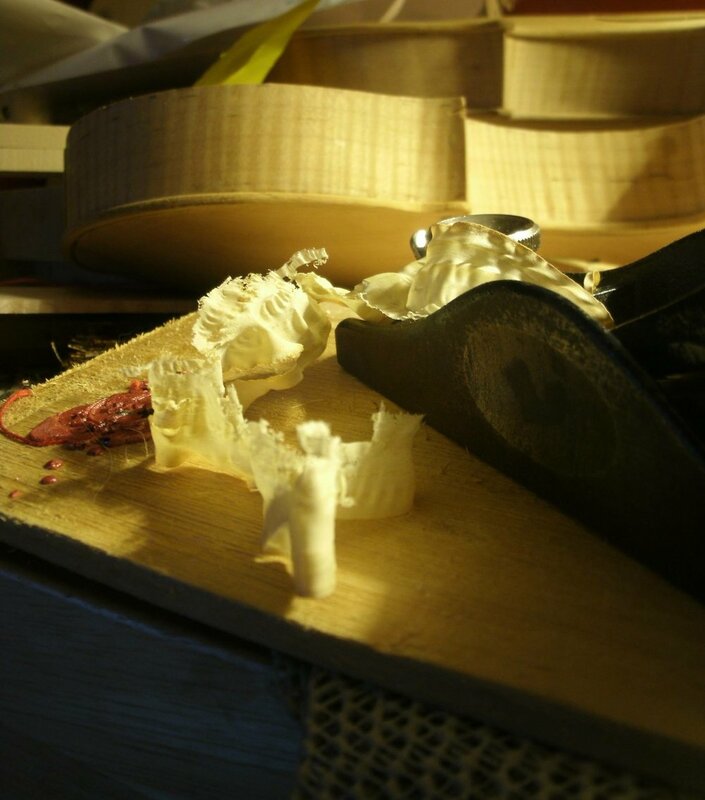 1830 Raffaele & Antonio Gagliano full size violin .